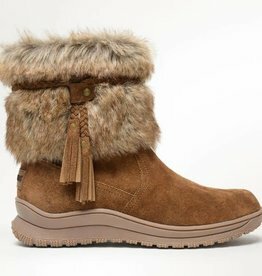 Soft suede and faux fur create a comfy, trendy outdoor look. Water resistant. 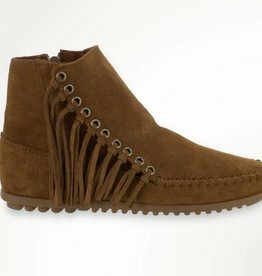 Available in dusty brown and black. Fits true to size. Soft suede leather. 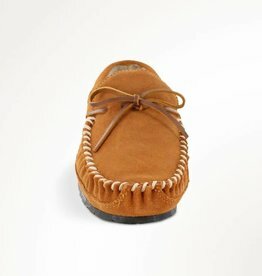 Antique metal eyelets with knotted fringe detail. 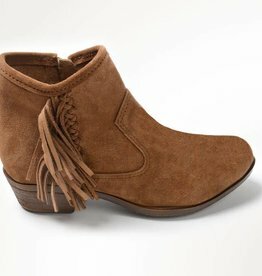 This suede ankle boot adds a chic western edge to any look with a woven fringe accent and a 1½ inch stacked leather heel. 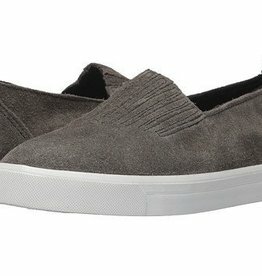 Featuring an inside metal zipper and padded insole.